How do you clean your Vehicle Interior? What is the Best Interior Protectant? 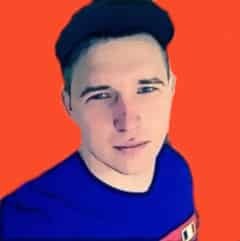 Hey my name is Matt. I don’t know about you but I hate when I look out the front of my car while I’m driving and all I can see is a layer of dust on my dashboard. The worst part is I’m driving and there’s nothing I can do about it at that moment. By the time I get where I’m going, I’ve forgotten about it until the next time I get in my car. Then I repeat the same cycle. I decided I need to do something about it. That’s when I went on the hunt for the best cleaner for car interior plastic. I have tried all kinds of ways to clean the interior of my car. In moments of desperation, I have grabbed dry paper towels and tried wiping off my dashboard. All it did was leave bits of white paper all over the place mixed in with the dirt, because the paper towel didn’t get all the grime. I knew I didn’t want to use the wrong products because I didn’t want to make the plastic crack or become that nasty whitish color. I learned the hard way that vacuuming as much as of the dirt off my dashboard was the first thing to do to get a cleaner car. The brush attachment does wonders for the vents. Then I needed a microfiber cloth. I’m telling you, they are amazing. Dip the microfiber cloth in some water and wipe down your dashboard. You can add mild soap, if your car is really dirty. Take a dry microfiber cloth and wipe down your dashboard. That is how to clean car interior plastic trim the easiest way possible. There are some products on the market that can clean and protect your car interior plastic without harming it or causing it to become brittle. Here’s three products that we have used and recommend. Rinse-free formula leaves a non-greasy, dry matte finish with no odor and is non toxic and water based. 100% free of grease-producing silicone oils and petroleum distillates. 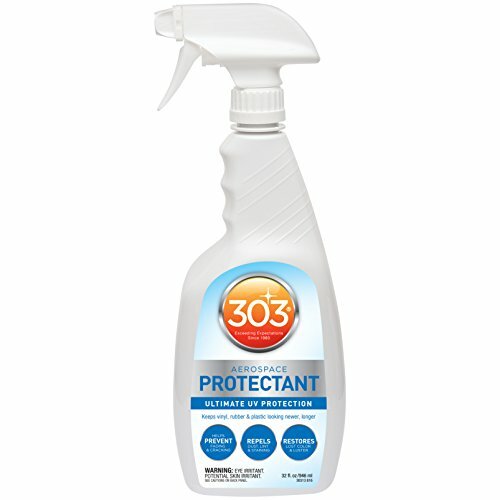 303 UV Protectant Spray not only cleans the dashboard, but also protects it from fading and discoloring. This product also provides important UV ray protection that could cause your dashboard to crack. What is even better about this product is it is rinse free and do not leave a greasy residue. The 303 UV Spray has a dry looking finish. It does not have an odor. It is non-toxic and water based. It does not have silicone oils or petroleum distillates. There is truly nothing harmful in this product. CarGuys Super Cleaner can be used on multiple types of car surfaces. This product uses special technology to lift the dirt off your dashboard. This cleaner is all-purpose and can replace the many products you are currently using to clean your car. It will replace all stain removers, bug and tar removers, and interior cleaners. You can’t use it on your windows, or any entertainment screens. Other than that, you can use it on any surface to remove anything, including tree sap and bug guts. 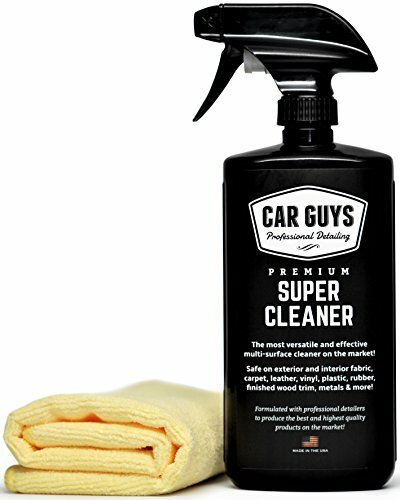 CarGuys Super Cleaner will clean your interior plastic by removing all the grime. It will condition and protect the plastic to prevent it from fading and cracking. It does all of this without leaving a greasy residue behind. The interior of your car will look brand-new again. Best of all, it comes with a 100% risk free guarantee. If you don’t like it, the CarGuys will refund 100% of your purchase price, no questions asked. There is really no reason for you not to try it. are lint free cleaning wipes that clean ground in dust and grime. 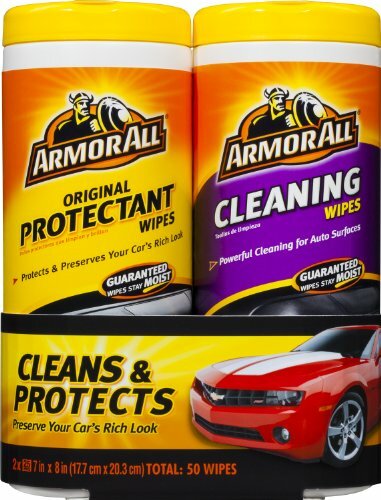 Armor All has been around forever and I would be remiss if I did not give a nod to their products. These wipes can be used on plastic, vinyl, and rubber. They are convenient and disposable and do not have a greasy residue. They are fairly inexpensive as compared to other cleaning products on the market today. You may be worried that store bought cleaners are too abrasive for your car interior. You may just not like that fact that you don’t really know what’s in them. To solve this problem you can use a car dashboard cleaner homemade by you. This way you know exactly what you are using. Honestly, vinegar is all you need. I use it on everything, from the carpets in my house to cleaning the kitchen, and even in my car. All you have to do is mix equal parts of vinegar and water in a spray bottle. Spray the mixture on your car surfaces. You can use it on vinyl, plastic, and even wood surfaces. Let it soak in for a few minutes and then wipe it dry with a clean microfiber cloth. It is a simple and easy way to find the best cleaner for car interior plastic. If you are interested in the best interior protectant, you can make one of those at home, too. Mineral oil is a great protectant. I use it in my kitchen all the time, especially for wood cutting boards. Now, we can also use it to protect your car interior. Put mineral oil in a spray bottle and get some clean microfiber towels. I wouldn’t recommend spraying the oil directly on any car surfaces because you want to control where the oil goes. Be careful not to get it on your steering wheel, or your gas and brake pedals. Avoid getting it on your windows, too. Spray the oil on a clean cloth and rub a small amount of it on your dashboard. Use the other clean towel to wipe off any excess oil. 104+ Octane Boost Review – The oldest cat on the block!